Fact: Cyndi Ingle is coming to town............ Saturday, Oct 3rd. 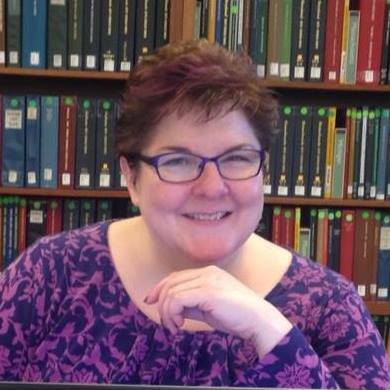 Fact: Cyndi Ingle is a BIG WIG in the world of genealogy and she's coming to teach US. Fact: Cyndi is the originator and manager of the website, www.cyndislist.com........ links to nearly 300,000 genealogy-related websites. Fact: Cyndi is one of those folks who are as easy to follow and learn from .... she's comfortable as old bunny slippers. Fact: Cyndi will be giving us an all-day workshop for the registration fee of $25 (non-EWGS members $30). Fact: Cyndi provides a syllabus; EWGS provides a potluck lunch. I plan to see YOU there! We Washingtonians recognize how important our apples are to the world. Back in the first decade of the 1900s a series of National Apple Shows were held across Washington……. “President Roosevelt will press a button at 10:30 tomorrow morning Pacific time which will give the signal for the formal opening of the National Apple Show to be held in Spokane December 7 to 12. The exhibits, ranging all the way from a single apple to carload lots will fill twenty thousand feet of floor space………… the exposition is the greatest and finest exhibition of apples, apple products, implements and machinery associated with the cultivation of the apple that has ever been assembled anywhere. The array is bewildering in magnitude and beauty. Think about it; would YOU have been excited to go to an Expo all about apples????? Cyndi Ingle is coming to town................. remix! Do you all realize what a fantastic opportunity we have upcoming on Saturday, October 3rd??? Cyndi Ingle is coming to town! She's coming to share four presentations in an all-day Fall Workshop with us!! If you will click to www.YouTube.com, you will find 17 listings for "cyndislist." If you request "cyndis list" you will get 70,900 listing......... some 70,000 YouTube videos about Cyndi and her list. For "Cyndi Ingle" there will be nearly 500 videos available. Doesn't that say something about what a truly big wig she is in the genealogy world? Yet, I know her personally and she is as down-to-earth as her symbolic bunny slippers. You will enjoy the day with Cyndi Ingle of www.CyndisList.com. Click to www.EWGSI.org for registration details. Cyndi Ingle has been compiling and making available to us her CyndisList since she was a little kid in bunny slippers. I well remember attending my first seminar where she spoke..... we were all sitting there expectantly and in she waltzes from the back of the room in her fuzzy robe and bunny slippers. And her point was that using Cyndis List you can do genealogy from home "in your robe and slippers." That point was not lost on me! Today she is a beautiful lady, with a son beginning college, and her Cyndis List has nearly 300,000 genealogy links! And she maintains this website mostly all by herself. CyndisList has links to something under every letter of the alphabet except X-Y-Z. For Antarctica--126 links. For Free Stuff---407 links. For Organizing Your Research---303 links. For Japan--107 links. For Africa---126 links. Now if she has that many links to those presumably less requested topics, imagine how many she has for Research in Ohio or DNA Research or Cemetery Research. CyndisList has been a goldmine for 30 years and continues to be one of the most valuable tools in our genealogy toolbox. EWGS boasts an awesome corps of folks who always and eagerly step up to do pretty much whatever needs to be done. EWGS is an awesome organization because of these good folks! Three of these super volunteers are Mary Holcomb and Tony and Janette Birch. 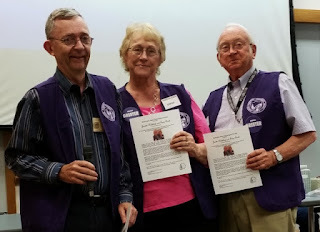 These EWGS members were honored at the September EWGS meeting when WSGS representative Charles Hanson presented them with certificates of appreciation............... applause! applause! The honor was well earned and we're glad to count you as friends in our group, Mary, Tony and Janette. 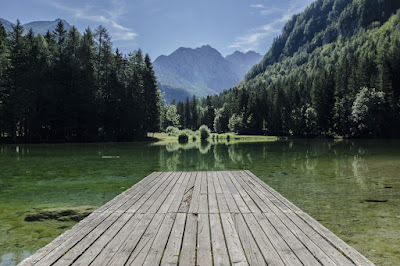 James Tanner, GenealogyStar blog, back on 26 August, posed this question: “Where are all the photos?” He explains that “millions of digitized photos go online every day. How many of these photos are of your ancestors?” Or I might add, your family? Tanner, in this blog post, goes on to trumpet the virtue of attaching photos to your Family Tree in FamilySearch: “All the tagged and captioned photos on FamilySearch.org are searchable by Google.” What does that say to you? Tanner tells you: “The best way to find these photos is to search by your ancestor’s name in the Google Images program.” Now you know. And, by the by, I do recommend that you sign up for Tanner’s blog at www.GenealogyStar.blogspot.com. Next trip to Bellevue you might want to stop for a visit to a brand new research facility. 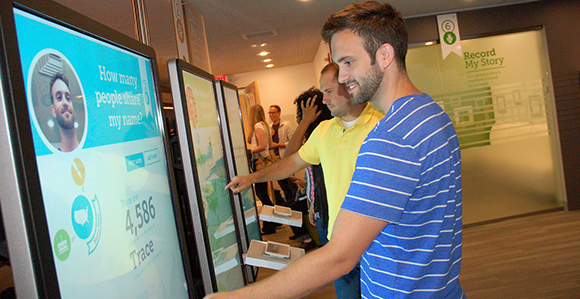 A recent announcement by FamilySearch explained that the new Seattle Family Discovery Center is open for business!! I’ll quote from the announcement: “High-tech “Museum of You” concept for center guides visitors to discover, share and preserve their histories and memories…… visitors to the center are provided with a tablet computer as a personal guide to interface with large touch screens where they learn more about themselves, view family origins, and discover how ancestors may have lied and even dressed. Data used for the interactive experiences is drawn from online data at FamilySearch.org and select partners.” Check it out for yourself at www.FamilySearch.org/discoverycenter/seattle And by the by, this is totally FREE and is located just behind the LDS temple, seen on the northside of I-90 approaching Bellevue. 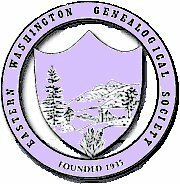 The Northeast Washington Genealogical Society (Colville) was treated to a great program recently by president, Karen Struve. Her topic was “Understanding & Using Pinterest.” Karen explained how to create an account, create your boards and pin items of interest to your boards. “Boards can be for recipes, craft ideas, gardening ideas, dogs, or genealogy! Think of Pinterest as another place to post, store and share the documents and/or photos of your ancestors. I was lucky enough to be at that meeting and it was explained that the under-30 crowd is using Pinterest every day (most likely) and if you want to connect with your grandchildren, and no matter how old you are, you better learn how to use these social media…like Pinterest. On a parallel note, an article in the Daughters of the American Revolution, Sep-Oct 2014, article by Maureen Taylor titled, “5 Ways to Use Pinterest for Genealogy” listed these reasons: (1) Follow your favorites…like Ancestry, FamilySearch, FamilyTree Magazine, etc. (2) Keep track of sources for research; you can create and keep your To-Do list there with images of books and/or documents that are on your To-Do list; (3) Create boards for ancestors; post biographies and images to grab your grandkids’ attention; (4) Document local history..take and post pictures of cemeteries and places where your ancestors lived…this ultimately will reach dozens of cousins potentially; (5) Compile a virtual family history cookbook. All good ideas. “Have you bookmarked JSTOR Daily yet?” So began a post from Judy Russell on her blog, The Legal Genealogist, on July 17, 2015. Judy explained that since she discovered this resource she has found it “irresistible” and “packed with great information.” So what is JSTOR Daily? She explains: “JSTOR is a not-for-profit organization, founded to help academic libraries and publishers; is a shared digital library created in 1995 to help university and college libraries free up space on their shelves, save costs, and provide greater levels of access to more content than eve before…………. JSTOR currently includes more than 2000 academic journals, 50 million digitized pages and continue adding at the rate of three million pages annually. “JSTOR is cool but it can be overwhelming,” Judy advises. That’s where the JSTOR Daily comes in. Anybody can sign up for this free newsletter/guide to the JSTOR collection at www.daily.jstor.org. Both Judy Russell and I recommend this to you! Your Genealogy Today is the new incarnation of the Family Chronicle Magazine, published out of Toronto but applicable to all genealogist’s needs. The July-Aug 2015 issue featured these articles: (1) Panama Canal employee records; (2) Beginning World War II Research; (3) DNA & Genealogy; (4) “What the Widow Got,” an article looking at how your female ancestor may have been affected by property laws. You can subscribe to this dandy publication in a paper/print form or a digital form by either calling 1-888-326-2476 or clicking to their website, www.internet-genealogy.com. Cost is $19.95 for the digital edition. A. The funeralization process--- three issues that must be satisfied. 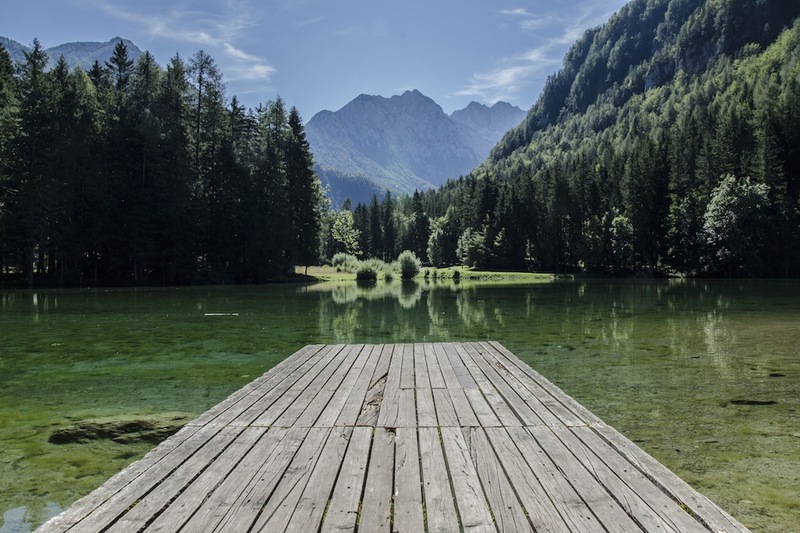 C. Cremation Questions---what to do with the cremains? This topic pertains to us and to our ancestors—how did they do things? Bring your questions; do hope to see you there! Thank you Jeanne Coe! Jeanne, a past president of the Eastern Washington Genealogical Society handed me a copy at a recent meeting that came from the website www.alphadictionary.com. She had printed out the bit about Washington got its name. “On August 29, 1851, 27 male settlers met at Cowlitz Landing (south of present-day Olympia) to petition Congress for a Columbia Territory separate from Oregon covering the area between the Columbia River and the 49th parallel. The petition was reaffirmed by 44 delegates who met in Monticello on November 25, 1852. Congress approved the new territory on February 10, 1853 but changed its name to Washington in honor of the first president of the U.S. It was President Millard Fillmore who signed the papers creating Washington State on November 11, 1889. Did you know these details? Hitchhiker or driver, which one are you??? We all know the nursery rhyme, Yankee Doodle. Did you ever wonder what this part really meant: Stuck a feather in his hat and called it macaroni. Well I just found out! Reading Edward Rutherfurd’s New York (2010), on page 197, and the year is 1765: “Some months ago, word had arrived of a new g roup of dandies in London. Macaronis, they called themselves. They had taken to parading round London’s West End and their extravagant plumed hats and jeweled swords had caused quite a scandal……” A character in the book fears that the custom will seep into New York “by the next boat,” he felt that such a public extravagance could only be an offense to most people in hard-pressed New York. “Don’t let any of your family dress up like a Macaroni,” he urged. Now you know. “Jon” is a regular patron using the Genealogy Section of the downtown Spokane Public Library. He is not a member of EWGS nor is he interested in our meetings or classes. But he is a dedicated researcher. I recently found him studying books from our set of The Domesday Books (“a manuscript record of the ‘Great Survey” of much of England and parts of Wales completed in1086 by King William the Conqueror; it contains the records of 13,418 settlements in the English countryside). And my point is this: A genealogy library serves all wonderful sorts of patrons and we librarians must never think that “Oh, nobody uses THOSE books so let’s put them into storage,” or worse yet, donates them to the next book sale. Do you have a set of The Domesday Books in your collection? Do your library patrons use those books? If not, the probable reason why is that they don’t know about them and how to benefit from studying them. Spokane Jon could teach them! 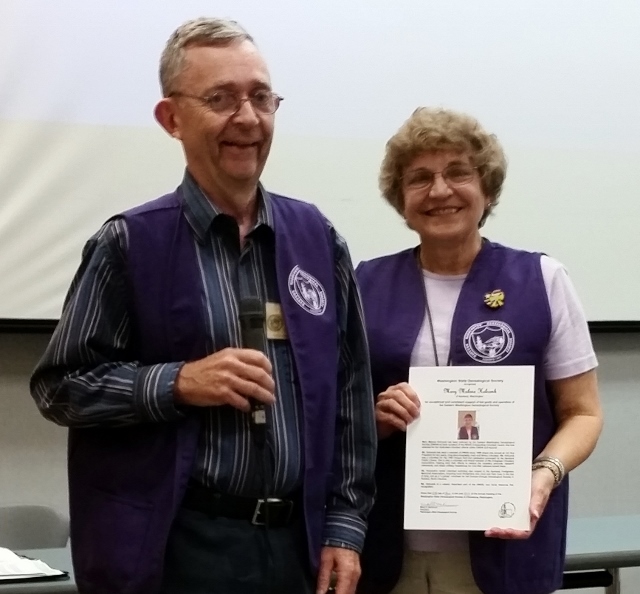 Judy Russell, The Legal Genealogist, was one of the speakers at the recent NWGC (Northwest Genealogical Conference). As you would guess, and knowing she is/was a lawyer, she speaks on exacting and precise topics. Her blog post of 14 August 2015 was a tribute to the many and good records in our Evergreen State. We thank you, Judy, for your sure and kind words about our Pacific Northwest home. Spokane Public Library patron, "Jon," usually smiles when he's working in the Genealogy Section. 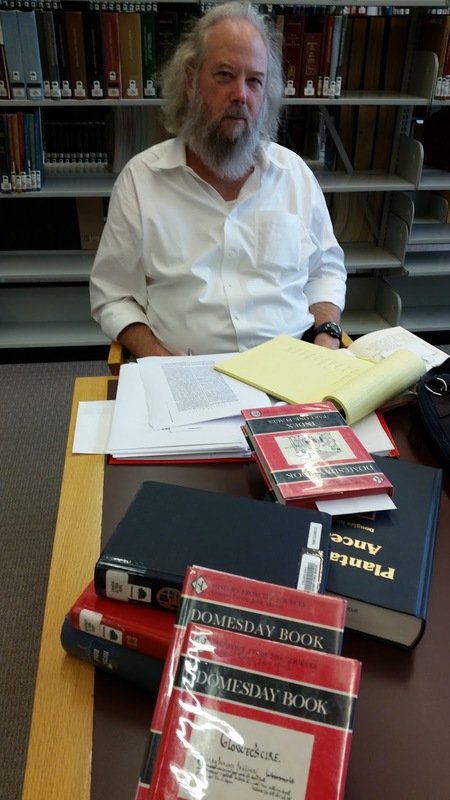 He comes downtown to the library regularly and dives deep into his special interests: Old English history and genealogy. I surprised him at work last week. He was using The Domesday Books, a set of very esoteric books sitting on the shelves in the Genealogy Collection. These books were the result of William the Conqueror (or King William I) wanting to know just how much land, people and resources he had come to rule. In a loose sense of the word, Domesday was the first census in England in 1086. EWGS has had these books for years but how many members (or the public) know they are there? Know what they are? Know how to use them? Fast forward to this next question: How many EWGS members fail to make the effort to visit our downtown library's Genealogy Collection? Yes, it is a bit of an effort to get there, but once there you are in for a great day or afternoon of researching. Come on a Tuesday when EWGS volunteer helpers are there waiting for you. If you have really ancient English history, The Domesday Books might be something for you. The collections are not complete for each state. Counties are missing, some just have indexes, some date ranges are limited. "Probates and Wills" can mean other court records, too. I found divorce, guardianship, and commitment papers (to a state hospital) for several individuals I was searching. If you don't already have an Ancestry subscription, you'll need to create a free login. For best results, use the "Any Event" search fields (date, location) rather than the "Death" search field. The website of the New England Historic Genealogical Society (NEHGS), AmericanAncestors.org, is offering free access to their Census, Tax and Voters Lists from now until Wednesday, September 9th. If you don't already have an AmericanAncestors subscription, you'll need to create a free login. They tend to have a lot of New York State records, so if you don't have New England ancestors, but do have New York ones, check it out. Have a safe weekend, and Happy Hunting!